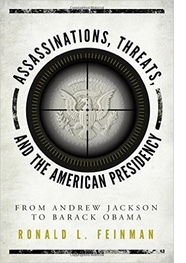 A major discussion has developed in political circles in which there is an illusion that Republican Presidential nominee Donald Trump is a reprisal of President Ronald Reagan. Nothing could be further from the truth. Some Republicans love to say that Ronald Reagan was underestimated in 1979-1980, and that the same applies to Donald Trump in 2015-2016. That is only true in the sense that many observers thought Reagan had no chance to be the nominee in 1980, as Trump was thought to have no chance to be the nominee in 2016. But that is really as far as one can take the comparison, other than the fact that both Reagan and Trump were about the same age when they became serious contenders for the White House. One can be sure that if Ronald Reagan were here today, he would be stunned and shocked at the behavior and rhetoric of Donald Trump. 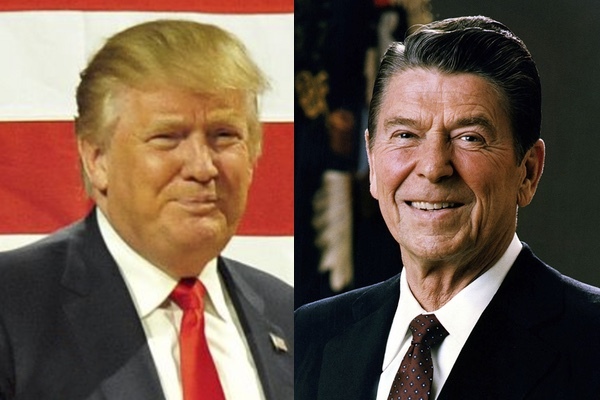 His adopted son, Michael Reagan, and his son, Ronald Reagan, Jr., while disagreeing on everything imaginable politically, both have made it clear that their father would not be a “happy camper” with Trump. It is likely that Reagan would have had difficulty endorsing and campaigning for Donald Trump were he alive today and in good health. It is important to understand the differences between the 40th President of the United States and the possible, but long shot likelihood, of a man who wants to be the 45th President of the United States, so let’s examine the differences. Ronald Reagan had been a Democrat and supported Franklin D. Roosevelt and the New Deal and only started to change his views and political affiliation after meeting his second wife, Nancy. Whether one agrees or disagrees with Reagan’s philosophy and change of views, it seems as if his transformation from liberal to conservative was heartfelt and sincere. On the other hand, nothing about Donald Trump and his political views is sincere or even clearly understood, as he has veered over many years from seemingly being a liberal Democrat to an independent to a suddenly converted conservative Republican, and very few conservatives believe a word he says. The National Review and the Weekly Standard conservative intellectuals, almost to a man and woman, abhor Trump and see him as a danger to conservatism and the Republican Party. They deplore him with a great passion, while conservatives, led by William F. Buckley, Jr. in the late 1960s and 1970s, came to admire Reagan greatly. Reagan’s speech for Senator Barry Goldwater in the Presidential Election of 1964 convinced many of his genuine and sincere beliefs. Ronald Reagan always made it clear when he campaigned for the Presidency that there should be an 11th Commandment, to avoid dividing the Republican Party and attacking fellow Republicans, and as much as humanly possible, Reagan avoided inflammatory and incendiary rhetoric as counterproductive. He believed in winning support based on rational arguments, not personal attacks and insults. Reagan was most certainly not a narcissist, not an egotist, not a bully, and while certainly imperfect, and making mistakes as do all political candidates and Presidents. But he never came across as out to get the jugular vein of his critics. Instead, Reagan was charming, charismatic, and used humor effectively against his opponents, including his challenger, former Vice President Walter Mondale, in a debate during the Presidential Election of 1984. Reagan was always engaging, friendly, warm, and even those who did not agree with his philosophy and programs, including this author, always found him someone personally appealing and likable. Donald Trump, on the other hand, lacks any of the character traits that Reagan displayed, and has totally alienated most of the Republican leadership and well known figures who played a role in the Reagan, and both Bush Administrations. Trump is an attack dog who never stops attacking, and loves to humiliate, degrade, ridicule, and insult everyone and anyone who dares to be critical of him. Ronald Reagan would find this anathema, and one can just imagine the startled look he would have on his face, and realize Nancy Reagan, in her last days, made clear how shocked she was by Trump’s behavior at Republican Party Presidential debates in 2015. It is clear that Donald Trump has no principles, no convictions, and is a total “wild card” and “loose cannon,” who is undermining the fortunes of the Republican Party, while Ronald Reagan united the party, and helped to put the Senate into Republican hands, and had a long range positive effect on party fortunes. His impact on the Presidency, whether one agrees with it or not, was transformational in a way that is long lasting. But Trump’s impact clearly is totally negative and degrading, and creates the likelihood of the destruction of the Republican Party in a way worse than what happened when the party split in 1912 between President William Howard Taft and former President Theodore Roosevelt and in 1964 between the forces of Barry Goldwater and Nelson Rockefeller. Ronald Reagan created a generation and more of Republican dominance and strength, while Donald Trump seems very likely to create a generation and more of Republican decline and possible demise, and replacement by a very different party under a totally new name, as the Republican brand may very well be toxic on a permanent basis.